A couple of years ago, a few major news websites, such as those of The Guardian, The Telegraph and The Daily Mail, reported that the non-literal use of literally, as in ‘This book literally blew my mind’, was officially recognised as legitimate usage by Merriam-Webster, Cambridge Dictionaries Online and the Oxford English Dictionary. As often happens in today’s online media, the news went viral. Language users and language pundits alike condemned the dictionary addition of what they regard as an ‘erroneous’ use of the word. The only problem was that this was not really news. The Oxford English Dictionary, for instance, had officially added this meaning of literally in 2011, dating the first such recorded usage back to 1769. This usage is, of course, far from erroneous. Linguistic studies describe this use of literally as an intensifier of hyperbolic or metaphorical language. In such cases, literally functions as a stance adverbial, which emphasises a hyperbole, thus signalling the subjective interpretation by the speaker of what is being expressed (Claridge, 2011). In situations in which literally occurs with metaphorical and creative hyperboles, Claridge notes, ‘the formulations are impossible or absurd’ but signal that ‘the speaker was invited by the use of literally to imagine the scene visually, creating a graphic and/or humourous, slapstick-like effect’ (2011: 110). It is such cases in which literally ‘has most clearly an intensifying and rhetorically emphatic function’ (Claridge, 2011: 110). This description of the use of literally, a very creative and productive use, applies to the example given here: ‘That book literally blew my mind’. These studies clearly show that the non-literal use of literally is resorted to as a means for expressing subjectivity in language, and its widespread usage testifies to that fact. The problem, however, arises when we consider the stylistic or social meaning of this usage of literally. For some reason or other, the usage has acquired the status of a mistake and has consequently been associated with sloppy, careless and uneducated speakers, who could not care less about using the English language correctly. How did this idea spread among speakers? A search for literally as a usage problem in our HUGE database1 reveals that the first usage guide to point out the ‘incorrect’ use of literally was Strunk’s The Elements of Style (1918). Fowler followed suit in objecting to the usage in his Dictionary of Modern English Usage (1926). Given the extreme popularity of these guides with audiences of all ages, as well as their impact on speakers’ attitudes to grammar over the years (cf. Pullum 2010), these usage guides may well have been the ones which made the non-literal use of literally one of the most popular linguistic pet peeves. Recent developments in the stylistic meaning of literally, as one that indexes a particular style of speech associated with young urban middle-class female speakers, but is not perceived as particularly problematic from an acceptability point of view, as some of my preliminary research findings suggest, have not helped placate outraged language pundits. It is, of course, hard to predict how the usage of literally and the discourse surrounding it are going to evolve; it is, however, fairly safe to conclude that in the case of this particular usage problem, prescriptivism, in the form of influential usage guides, has fundamentally affected people’s attitudes towards the word. It is also to be expected that the emphatic use of literally will continue to spread like wildfire, figuratively. This spread will likely produce new stylistic meanings of literally. 1 The HUGE (Hyper Usage Database of English) was developed by Robin Straaijer at the Leiden University Center for Linguistics as part of the Bridging the Unbridgeable Project. Claridge, C. 2011. Hyperbole in English: A Corpus-based Study of Exaggeration. Cambridge: Cambridge University Press. Fowler, H. W. 1926. A Dictionary of Modern English Usage. Oxford: Oxford University Press. Pullum, G. K. 2010. 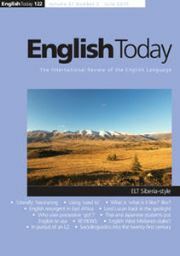 ‘The Land of the Free and The Elements of Style.’ English Today, 26, 34–44. Strunk, W. 1918. The Elements of Style. Privately printed in Geneva, NY, at the Press of W. F. Humphrey. Available online at: at http://www.bartleby.com/141.